A week today, on Friday July 15th, I will be joining the march in support of the Palestinian Declaration of Independence. This will put me on the fringes of Jewish-Israeli society and will not win me a popularity contest. Yet both the sense of my moral duty and my own enlightened self-interest come together to motivate me to join this demonstration. I will march because I believe that as a Zionist who believes in the right of the Jewish people to a state, I also support the right of Palestinians to self-determination. I will march because I believe that the only way to ensure the existence of Israel as a democratic, Jewish state, is to create a parallel Palestinian state. 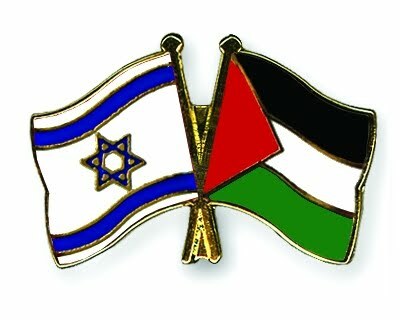 I will march to express my solidarity with my Palestinian friends. I will march because I believe time is running out. I will march because I want my children to have a future in this beautiful and in many ways, wonderful country. I will march because it is something I can do. I will march for all those who cannot march. I will march because I cannot not march. Please join me: Jaffa Gate, Jerusalem, July 15th at 14:00. I will march with you in spirit and wish I could be there to march with you in person! Well written as ever! Click on this to hear. I was about to write exactly the words that Joanna used, so send this as a bonus. I do feel quite conflicted about the direction that the march to statehood is taking, but believe that it is the Jewish thing to do to be in the vanguard of the movement. I will march with you in spirit too – and would march arm in arm if I were there. You are marching for many of us who love Israel and want it to be both democratic and Jewish and it is the right thing for all of us if we want a future that will sustain us physically, morally, spiritually, ethically and Jewishly.